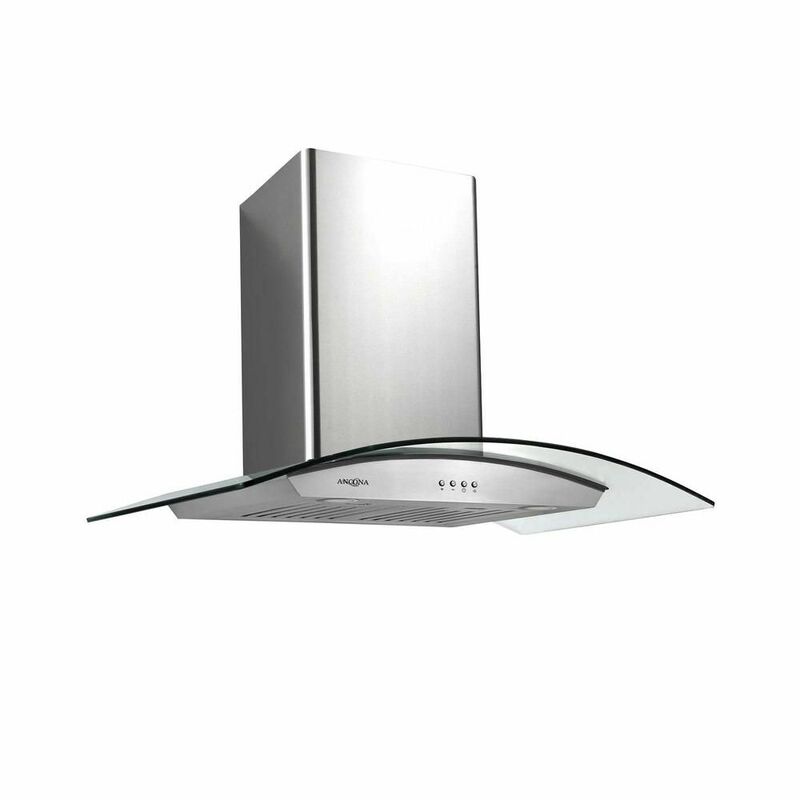 Get more, do more and enjoy more with the Ancona B328 range hood. Made from the high quality 430 stainless steel with an integrated motor for efficient and powerful ventilation, this model range hood delivers unprecedented performance while protecting kitchen walls from steam and effectively removing cooking smells. Featuring easy to use 3-speed push button controls, stylish GU-10 halogen bulbs providing ample task lighting and removable 5-layer aluminum mesh filters for easy cleaning. The Ancona B328 provides power, and affordable built-in Italian inspired style that will complement your kitchen cabinets perfectly. Made with highly resistant 430 stainless steel, the Ancona UC6 30-inch under cabinet range hood will add style and elegance to your kitchen. This range hood offers powerful air renewal, eliminating steam, smoke and cooking odours. The push button controls are simple to operate and the removable filters allow for easy cleaning. This model range hood combines easy-to-use features and a design that will give your kitchen a professional look. With over 25 years of experience in the appliance industry, ARDA is a world leader in high quality kitchen appliances. ARDA offers high performance range hoods with a multitude of options. Choose from our family of styles, in premium stainless steel and glass to co-ordinate perfectly with your kitchen. Easy to install, you can be up and running in an afternoon. ARDA's attention to fit and finish delivers the best value at the lowest cost. Tornado III 36 inch Wall-Mounted Convertible Range Hood in Stainless Steel Made from the highest quality 430 stainless steel and tempered glass, the Italian inspired distinctive design adds elegance to your kitchen. This range hood features easy-to-use 3-speed electronic controls with a convenient auto shut-off function, eco-friendly LED lights and stainless steel baffle filters that will maintain their luster even after many washes. Ancona's Tornado III combines elegance, durability, and features ready to fit today's modern lifestyle. Tornado III 36 inch Wall-Mounted Convertible Range Hood in Stainless Steel is rated 4.3 out of 5 by 56. Rated 5 out of 5 by brad from economical and good! Have been using it a few months and am not disappointed. It looks just as good as the models double the price and works like a charm! Rated 4 out of 5 by Lynn from Beautiful but loud I recently had this range hood installed in my renovated kitchen as the focal point, given its central location and view from the family room. It is beautiful. It is very loud, even on the lowest setting, unfortunately, so annoying to use if there is anyone present. I was unaware that it would require new ducting. The former under cabinet mounted one had ducting installed quite low on the wall - a condition my contractor said is quite common, even in new homes. So there were unexpected installation costs to cut a new opening in the exterior wall and patch & fill the existing one. However, I am very glad to have done so - given the beauty of the hood. The stainless steel does not seem to be finger proof, so I find it difficult to clean marks around the buttons and fingerprints made by the installer. Rated 5 out of 5 by Patricia40 from Works very well! Very happy with this product. It is a bit loud on the highest setting but is very effective. Rated 5 out of 5 by PB75 from Nice Look, Very Powerful Has very good suction power, Would recommend this. Rated 5 out of 5 by Dixie from Great product. I bought this for my newly renovated kitchen and love the look, it has four speeds, I only need to use the 1st speed, the lights are great as well. Very Happy with the purchase. Rated 3 out of 5 by Steve818 from Beautiful but so loud. I bought this product a few months back. Its visually attractive and the lights work great but when the vacuum is engaged it is incredibly loud. Rated 5 out of 5 by Tita106 from Great features I'm very happy with this glass hood. My kitchen looks very nice, elegant, and clean. It's very powerful. Rated 5 out of 5 by Shah from Great features product at very reasonable price Bought two months ago and it was easy to install and fited very well with my kitchen design along with functionality.